Earlier this year, it was announced publicly that ex CIA director and commander of US forces in Iraq, General David Petraeus would be teaching at CUNY. He was given a one year contract as a visiting professor, to teach a course called “Are we on the threshold of the North American decade?”. At the same time that this was to happen, ROTC (reserve officer training corp) would make a return to CUNY campuses, after having been driven out in 1971 by students and community members. 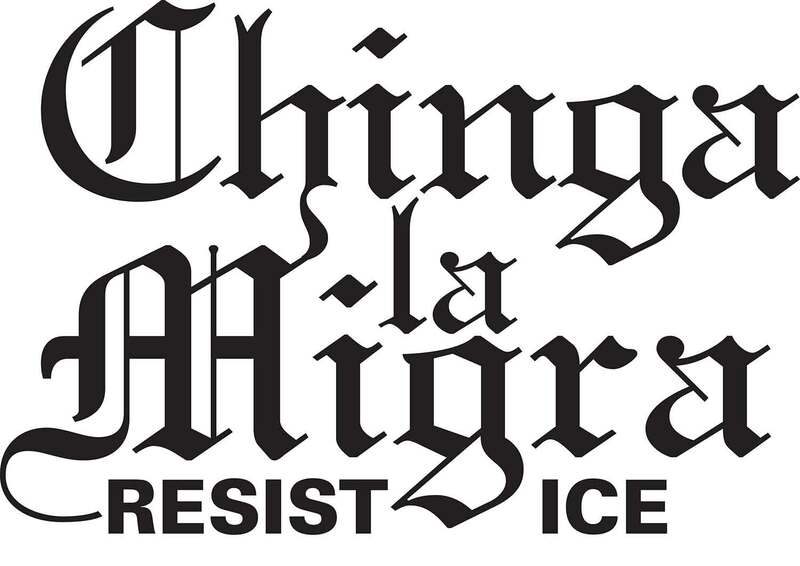 Naturally, this was a move that had to be opposed by all progressive forces in CUNY. Many people were angry at the fact that Petraeus would be recieving a salary of $200,000 to teach for 3 hours a week. In response, he agreed to teach for $1, a move which effectively killed much of the reaction to his presence in CUNY (though it did reduce the numbers of the resistance, it sifted out the economistic elements who would have become problematic as the campaign develops to be more anti-imperialist). The remaining forces were radical in character, and managed to unite forces to form the Ad-Hoc Committee Against the Militarization of CUNY, spearheaded by my own organization, RSCC (Revolutionary Student Coordinating Committee) and the IG (Internationalist Group). The Ad-Hoc Committee unites on the basis of anti-imperialism, to drive the military industrial complex out of our university. The analysis is that the US is engaging in increasing imperialist aggression as its hegemony is waning in the world, the epitome of which can be seen in its attempts to make war on the Syrian Arab Republic. As it does so, US society experiences more militarization, evident in the degradation of healthcare, closing of schools, police departments being equipped with military technology and ROTC returning to campus while the military budget continues to grow. Petraeus’s presence in CUNY serves the function of legitimizing imperialism, as 9/11 is no longer an effective excuse. After taking a quick look at a draft of his syllabus, it became obvious that Petraeus is attempting to make a case for how the US can stay on top in the global economy by presenting imperialism in liberal terminology, such as “capitalizing on the tide of advances in science and technology”. The Ad-Hoc committee has hosted two protests so far; one against an ROTC orientation and one against Petraeus’s first day of class. After the second protest ended, the students of RSCC managed to catch Petraeus on the streets as he was walking to his car, and led an impromptu protest. He was called a scumbag and a war criminal, with shouts of “Every class David!” warning him of our intention to continue protesting his classes until he leaves our university. This action by RSCC is indicative of a qualitative transformation of the organizing that goes on in CUNY. Until recently, organizing was dominated by SUFC (Students United for a Free CUNY), which operated along the flawed and economistic line of student power. The revolutionary elements within SUFC broke away and formed the RSCC, which adopted revolutionary goals as its central principles. 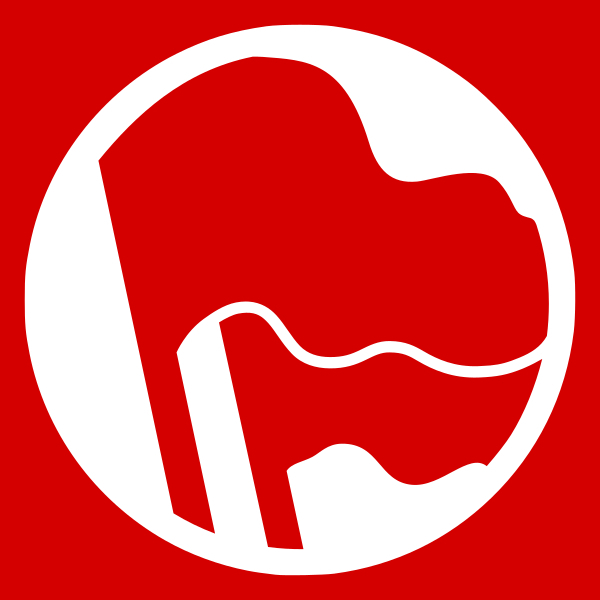 The biggest difference was that whereas SUFC organized for gains within the framework of bourgeois society, the aim of RSCC is to build student struggles in the context of class struggle (in tandem with the struggles of oppressed nationalities, women and working class people), producing a concrete role for students in the process of building revolution. Being an all out revolutionary organization that stands on the shoulders of giants and greatness, the RSCC was not afraid to lead the spontaneous action against Petraeus. In response, thousands of people took it upon themselves to rush to Petraeus’s defense on the internet and over mainstream media. There is hostility towards the protesters, and even several death threats have been made. There is anger at the CUNY administration for not taking disciplinary action against us. There is a scramble to make a case for why Petraeus is NOT a war criminal and why American military ventures are just. This is excellent. One of the purposes of the campaigns is to polarize public sentiments and opinions about imperialism and Petraeus, and eventually make it more of a burden to have him in CUNY than not. The RSCC will continue to unite forces where necessary and agitate as much as is necessary to fight the militarization of CUNY. The campaign is a concrete practice of anti-imperialism, challenging imperialism here in the belly of the beast as is the task of revolutionaries living in imperialist metropoles. 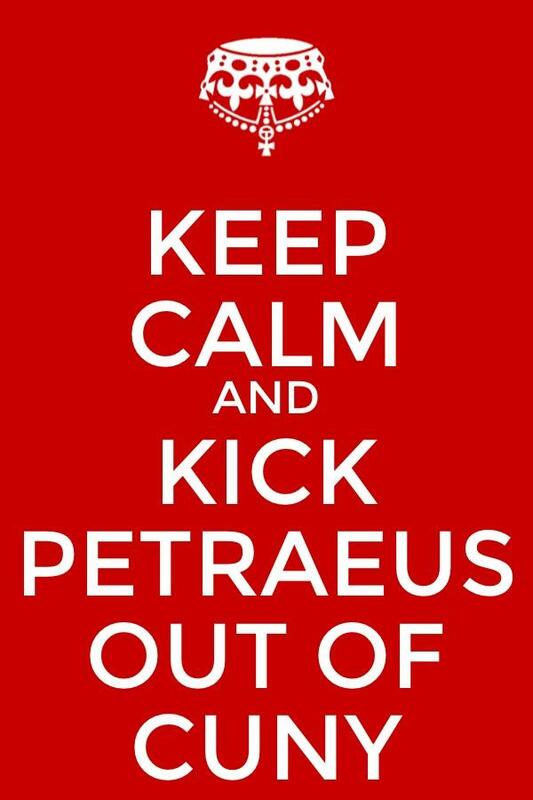 For the reactionaries and liberals who jump to defend Petraeus, I say thank you! Thank you for making our job so much easier. 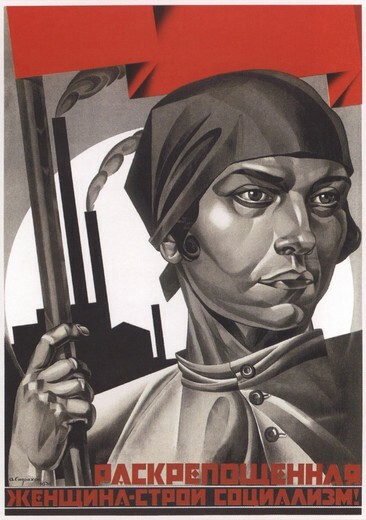 Their children, and their children’s children will reap the benefits of a world free of imperialism, capitalism, patriarchy and racism one day, and they will have played their part in making such a world possible.